The 35th Blues Music Awards nominees have been announced by The Blues Foundation. Below are the nominees for new artists, acoustic artists, album of the year, the prestigious B.B. King Entertainer of the Year and Koko Taylor Awards and much more. 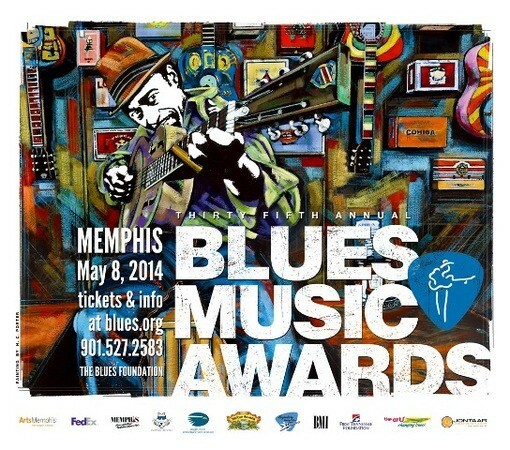 This year, the Blues Music Awards will be presented at the Cook Convention Center in downtown Memphis, Tennessee on Thursday, May 8, 2014. The BMAs are universally recognized as the highest accolade afforded musicians and songwriters in Blues music. The annual Blues Music Awards ceremony is the premier event for Blues professionals, musicians, and fans from all over the world. The focus of this celebration is to recognize superior achievements in Blues performance, songwriting, and recording while honoring a rich cultural tradition. Next articleGrammy Hall Of Fame Inducts "Sweet Home Chicago"